Unless you live in a cave by yourself, chances are you have encountered conflict with at least one person in your life. Arguments cost time and money at work, waste precious hours with loved ones, raise blood pressure rates and create headaches. One study* even estimated that workplace conflicts in the US cost as much as $359 billion a year in work hours! For most people, cave life just isn’t an option: family, friends, and coworkers are inevitable… but do frustrating conflicts have to be? Last week we told you that there was never a time when you weren’t feeling your thinking. If you proved to yourself that you could get angry all by your lonesome, you know it’s true. Now let’s put it to the test in a way that will benefit you instead of just re-imagining the last time you were angry. Let’s avoid a conflict before it can begin, and be content about it at the same time. Don’t believe that could be possible? Keep reading. Do you remember playing tug of war? The point of tug of war is to pull with all your might and hang on for dear life so that you can win the game. But what would happen if you were to let go of the rope? There wouldn’t be any resistance to pull against, and the game would be over. No matter how many times the other side tried to keep the game going, without resistance, it’s just a rope dragging on the ground… not much fun and certainly not very interesting! When we get into disagreements with others, we are mentally putting a hand on that rope. The more we think we are right and feel the burn to prove that we are, the tighter our grip becomes. Pretty soon it’s an all-out battle, and the frenzy of the competition spurs us on, faster and more furiously as our egos get more and more involved. We defend our stance. We start to say things we don’t even mean. We fire back when we feel attacked. It’s exhausting, both mentally and physically, and it’s messy. The next time your hands get itchy to grab that rope, try laying it down. Remind yourself of what you know, that it’s not the person or the circumstance getting you heated but your own thoughts about what is happening. Instead of being a slave to your emotions, walking around with buttons that you “think” no one can push or imaginary lines you have made up that no one can cross, try just setting down that rope. It doesn’t mean you agree with what is going on, it doesn’t mean you’re “giving up”, it simply means that you don’t have to go mindlessly wherever your anger or other emotions take you. You’re no longer just a player; you become the coach who can see the big picture: that most of the time, arguing doesn’t change the other person’s mind. Most of the time, all arguments give you is a headache. Most of the time, conflict is just a time sucking drag when you could be off being awesome. See what happens if you don’t feel the need to defend your opinions, if you understand that others feel just as strongly that their ideas are good ones too if you live comfortably with the notion that everyone around you may not think the same way you do. Feel how relaxed you can be in your own skin, and how relaxed others around you become in theirs. “Blessed are the meek…” for not only will they inherit the earth; they typically have lower blood pressure, too. 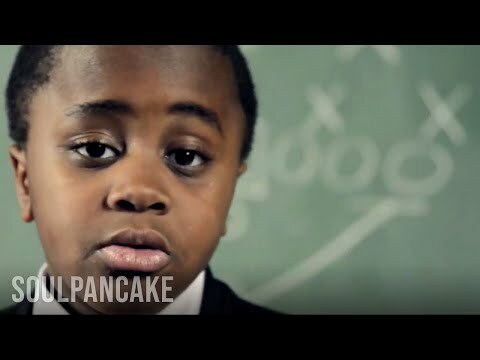 The author is not affiliated with Kid President, but does think his videos are pretty awesome.